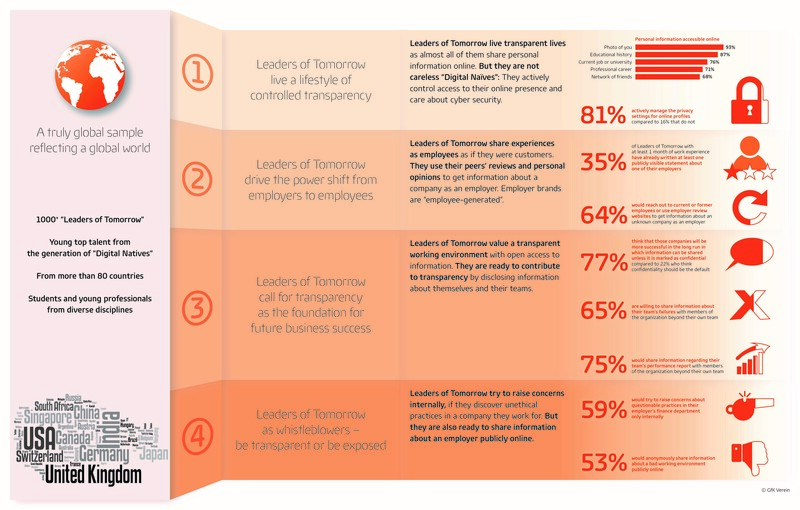 Leaders of Tomorrow: Do Today’s Companies have to be Completely Transparent? 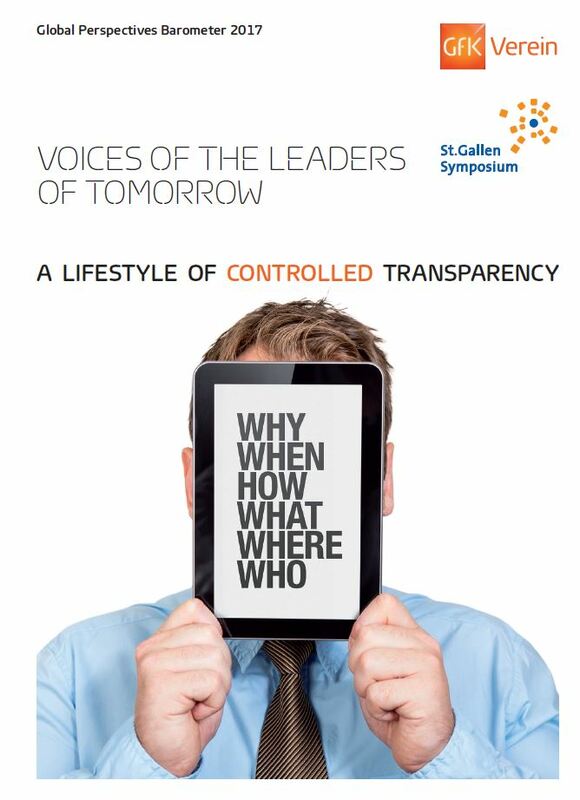 The Leaders of Tomorrow live a lifestyle of controlled transparency. This means they are not calling for full transparency, but weigh what sort of information is useful to share. When it comes to their own profiles, they are careful about what they disclose online to cultivate a professional identity for self-marketing. They are driving the power shift from employers to employees by sharing experiences as employees online and by relying on such employee-generated information in case of a job decision. 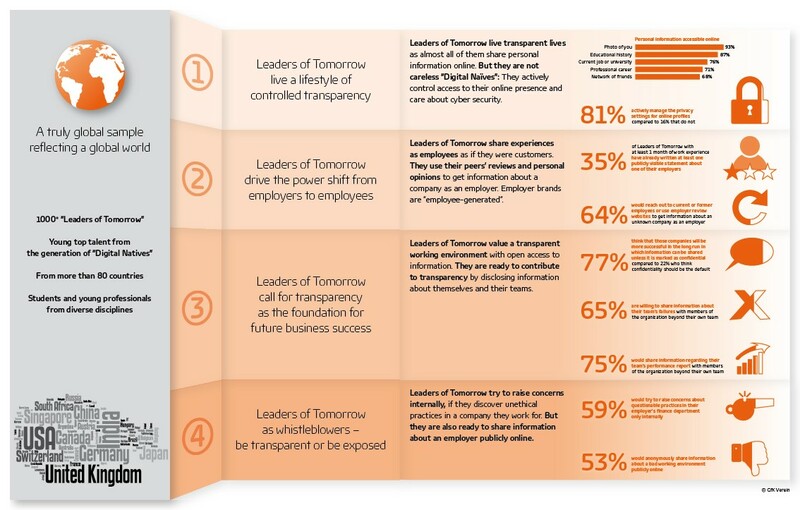 Moreover the Leaders of Tomorrow believe that companies with a culture in which information can flow freely and where secrecy is the exception will be more successful in the long run. They are ready to contribute to transparency by opening up information about themselves and their teams that is necessary for collaboration. In case of questionable practices in the companies they work for, they are ready to raise such issues publicly but would first give companies a chance to deal with them internally. These are some of results the study “Global Perspectives Barometer 2017 – Voices of the Leaders of Tomorrow”. For the study, the GfK Verein and the St. Gallen Symposium surveyed over 1,000 top talented young people from more than 80 countries. You find the full report with all results, the press release and the infographic on the right for downloading.